Lately I have been listening to a lot of contemporary jazz, music that is currently on the scene. And whenever I listen to new albums, or go to concerts, I am always amazed by how well music can describe the current moment- and how fearless this moment is. Recently I have heard fearlessness from pianist-composer Satoko Fujii and trumpeter-composer Natsuki Tamura, one of the most boundlessly creative husband-wife teams in new jazz. The exceptional avant pianist/composer Satoko Fujii and trumpeter Natsuki Tamura have two new CDs. 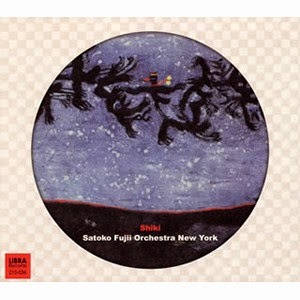 Shiki is the ninth release with Fujii's New York Orchestra to appear over the last 18 years. 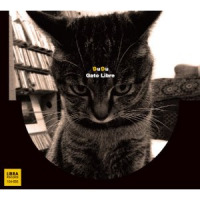 DuDu is the fifth release Tamura's Gato Libre, his working quartet since 2005. "DuDu" is the title track that opens Natsuki Tamura's new Gato Libre CD. I was very fortunate to be able to interview Satoko Fujii and Natsuki Tamura, and ask them about these CDs and their influences. > 1. What was your inspiration behind your new release DuDu? automatically would be set for it. I think I have enough experience working with this band. > 2. What was your inspiration behind your new release Shiki? wanted to express life's four seasons. > 3. How much inspiration do you gain from the musicians within your band? I write music I hear their voices and that helps my compositions. Natsuki: I have gotten very big inspiration from the musicians in my band. do you think in an improvisational way or vice versa? improvisation and other times 95%. and differ from previous recordings? Satoko: When I plan new recording, I would love to try something new. to sing it, but she couldn't do it. I am very curious what she heard. grand mother heard. I don't know what that is though. musical journey? Is it based on a personal or a group mentality? "something beyond" musically, spiritually, artistically....etc. Natsuki: I often gain influence from fairy tales and paintings. Natsuki: I agree with the Satoko's answer. world, either performing or composing? Sometimes when I listen to jazz I am astounded because it all sounds so different, yet it is all jazz...it is all music. And sometimes in a world of commercials and constant repetition it is very nice to hear "music that no one has heard before".